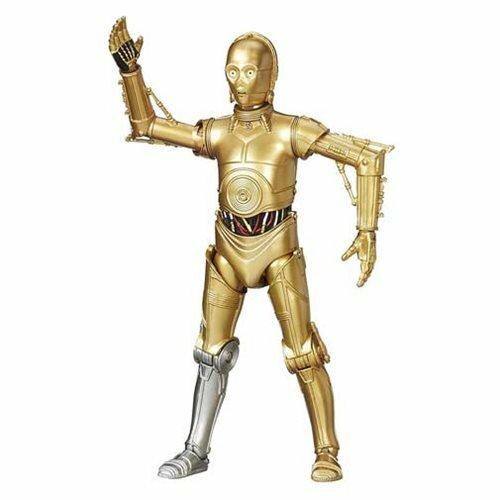 Commentary: As Battle Droid figures go, we've had lots of ups and downs with this one being on the happy scale of the lower end. While some collectors continue to insist a figure must have 14 or more joints to be worthwhile, I beg to differ - sometimes the point of the figure is to be a prop, to fill a seat, or just to be a victim for another figure to destroy. 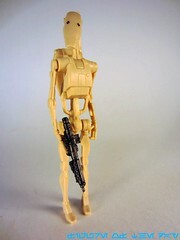 In the case of this Battle Droid, it was designed as a pilot/gunner for the MTT vehicle so all it needed to do to succeed was sit, hold a gun, or be plugged into a gunner's port. 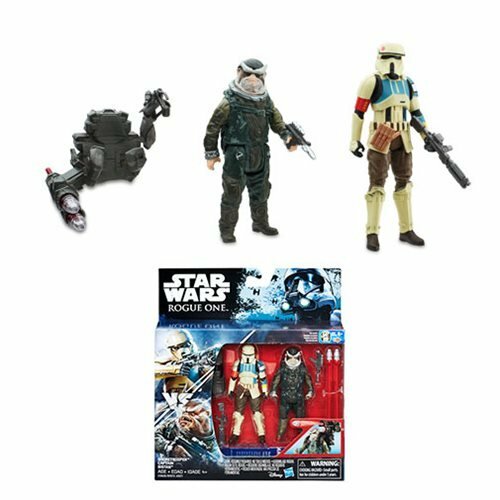 Armed with a traditional blaster and a backpack, the figure has 5 points of articulation which places it on the lower end of such things. Still, the sculpt is clean and good, with very thin arms and a slightly wobbly sense of balance. (Display stands are good if you have them here.) The level of detail is certainly impressive given the simple nature of the figure, and the eyes are painted well. Having the figure "clean" and free of damage no doubt brought down the cost, a necessity for a vehicle which includes 21 action figures of varying levels of complexity. This figure will not impress anyone, but if you're interested in Hasbro's new take on superb sculpts with limited deco and/or articulation, this one fits the bill. Good, a nice display piece, and honestly if they painted it well I'd hope Hasbro put out a ton of them for $4-$5 each somehow. (3 for $10?) Because you need something for your other figures to attack, this is a good figure from a decent vehicles. 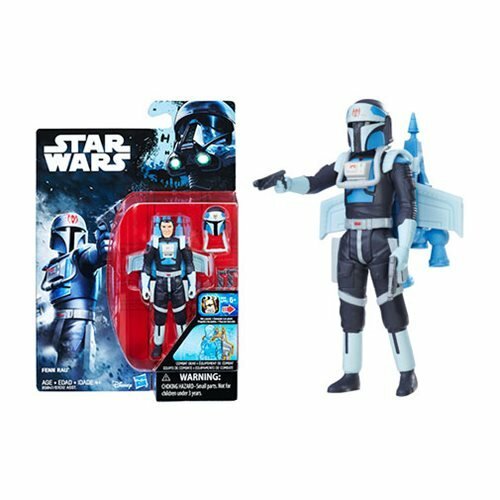 Collector's Notes: The figure was redecorated for the MTT Mini-Rig in early 2013, but with blue pilot deco. That's worth getting too.